By ingredients, this recipe is dairy-free / non-dairy, egg-free, gluten-free, optionally grain-free, nut-free, peanut-free, optionally soy-free, vegan, and vegetarian. Add the soy or rice milk and the sugar to a saucepan. Cook over medium-low heat, stirring constantly, until volume is reduced to 1 cup. Add a few drops of vanilla to taste, and a pinch of salt. Cool before using. May be stored in the refrigerator. What is the shelf life of this once it’s cooked, cooled and in the fridge? I would estimate about 1 week – the same as most milk alternatives. Hi can these condensed milk replacements be used to make rumballs? 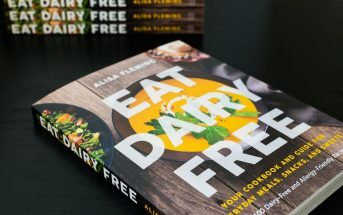 I would use the one in Go Dairy Free the book, made with coconut milk, I’m not sure this version would be rich enough – it would be like a light / fat free sweetened condensed milk. I’d like to ask if you could add a thickener to this recipe if needed? Also I did buy your book and the product Mimic Creme is not produced anymore that I can find, and was wondering if you know of a replacement for this? Thank you. Hi Janet, yes alas they have closed their doors. There isn’t a nut-based one that has replaced it. Rich Whip is still sold though I’ve never been able to locate it (not sold in my region) and it is soy-based and made with less natural ingredients. As for this recipe, I recommend the one made with coconut milk in my book most for a truly spot on and thick result. With this one, you could add thickener, but it may not prove as creamy. On vacation and only have brown sugar. Think that would work? Yes, though obviously the flavor will be a touch different. Thanks for this bumy brother Luke can’t have dairy either I am making edible slime because he loves teenage mutant ninja turtles but the recipe calls for 1 14 ounce can of condensed milk I need help! I would use the recipe in Go Dairy Free. It should be seamless for this. Hi Alisa! I am trying to make a dairy free coffee creamer. The recipe for making your own coffee creamer calls for sweetened condensed milk. I do not like the taste of coconut, so I do not think I could just use the canned coconut milk. 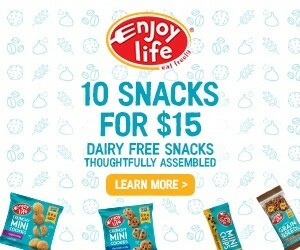 Could I use almond milk instead of soy/rice? Or does the coconut milk not have too much of a coconut flavor? I find that full-fat coconut milk works best, and the coconut flavor is usually masked by the sweetener. But almond milk should work in a pinch. It just won’t be as rich. That’s great! Glad you enjoyed. Have you tried to make Dulce de leche with this sweetened condensed milk? I made an easy dulche de leche ice cream for a picnic yesterday. And I was asked whether I knew of a dairy free recipe. I’m assuming I might need an icecream maker for it. I didn’t need one for the one with dairy. Just a decent mixer. Hi Dana, I haven’t tried dulce de leche with this recipe. I prefer an ice cream maker, but non-dairy ice cream can be made using the same processes as dairy-based. I just wanted you to know that I made this and it worked wonderfully (the fudge was pretty Awesome to) and that I’m so glad this website is here and I owe it all to you thanks! Thanks I’m making it today! thanks for the advice I’m probably going to use the canned coconut milk it’s just that I had second thoughts sense you said it might be a bit richer than the other the carton milk. Yes, but I would use full fat canned coconut milk rather than the carton milk alternative, which might leave it too thin. Dina, I’m so sorry this didn’t work out for you. I typically use the version in my book, which uses full-fat coconut milk and it comes out just like sweetened condensed milk. You may want to try that one. 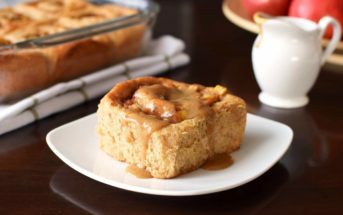 As for salvaging this recipe, adding a little flour and cooking will help to thicken gradually. 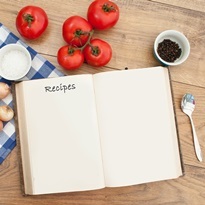 I’ll test this recipe out myself again and see what I can come up with. Sorry for the confussion… I’ve had brain surgery so I may get my questions out wrong, sorry for that. 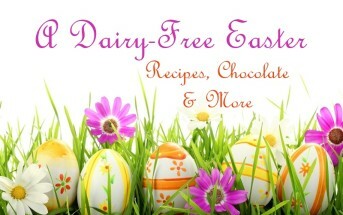 Yes, I saw the recipe on the Go Dairy Free site. That’s where I found the recipe for evaporated milk and It’s the question that I was asking you on how to make it. Because it calls for 3 cups of either soy or rice milk. I was basically asking if I could sub out some SoDelicous coconut milk from the fridge instead of using canned coconut milk? I bought a can of Coconut Cream from Trader Joe’s and I don’t know what do with it? any suggestions? As for the pumpkin pie, I did make it using the canned coconut milk and I put in some extra spices, used coconut sugar (ground up) and put it in a pecan-coconut crust… it was sooooooo yummy!!! My friend who is not a crust fan or coconut fan, said it was the best pumpkin pie she’s ever had. Thank you for all the recipes 🙂 I did a collaboration with some tweaking. You can use coconut milk beverage in place of soy or rice milk in most recipes. I wouldn’t use canned coconut milk when a recipe calls for soy or rice milk, as it will likely be too rich. So glad you enjoyed the pumpkin pie! You can make a whipped topping for it with the coconut cream. I don’t know if I already asked you these questions… lol my memory yikes! if I already have please disregard. I can’t have soy and I don’t like rice milk. So, I’ve seen canned coconut milk and refrigerated coconut milk. 3 cups of canned would be a lot!!! Anyway, which one is it? I noticed that you didn’t use this in your pumpkin pie recipe, is there a reason for that? I’m a bit puzzled as to your question. As for the pumpkin pie recipe, I just use canned coconut milk – there’s no reason to take extra time to make a sweetened condensed milk. If you want to make coconut sweetened condensed milk for recipes, see the recipe in Go Dairy Free the book. It’s quite an easy one! I tried the sweeten condensed milk I with almond milk and it never thickened. Why?? Hi Connie, I’m sorry that I missed this comment prior. 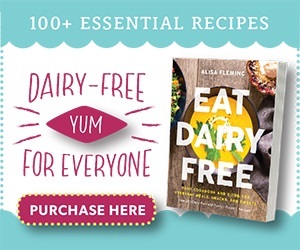 I recommend full-fat coconut milk – per the recipe in Go Dairy Free: The Guide and Cookbook – for foolproof results. 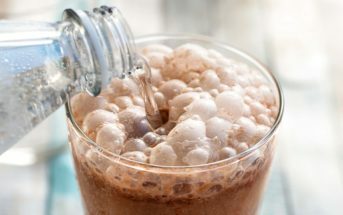 Certain milk beverages will thicken and work in this recipe, but it can be hit or miss if they are low in protein and fat.